This volume includes claims for Indian depredations, licenses to traders, two lists of Indian traders, and one long, unidentified letter on Indian conditions in the upper Mississippi area. William Clark (of the Lewis and Clark Expedition) served as Indian superintendent for the central superintendency from 1807 until his death in 1838. A searchable, full-text version of this volume is available by clicking "Text Version" below. 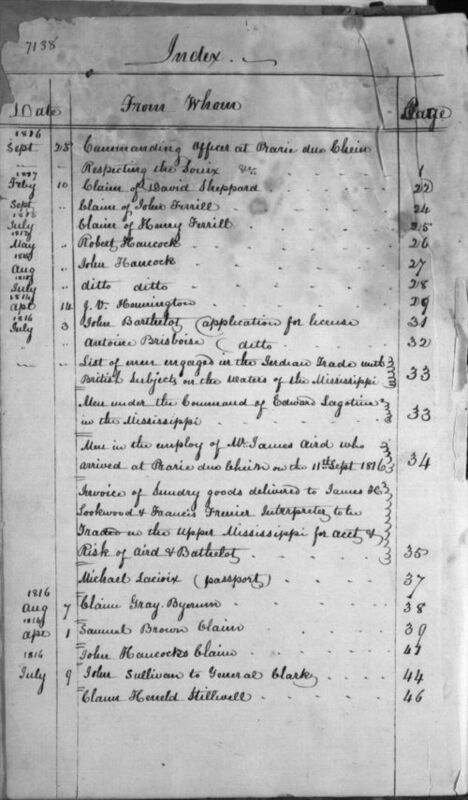 Partial funding for the digitization of these records was provided by the National Park Service.